If LeBron is happy, then the Cavaliers are happy. And LeBron is happy. As The Comeback’s Alex Putterman put it on Thursday, “The Cleveland Cavaliers didn’t need just a touchup entering Thursday’s trade deadline, they needed a makeover.” And so they got one with a flurry of trades that sent six players away and brought four new players into the fold. 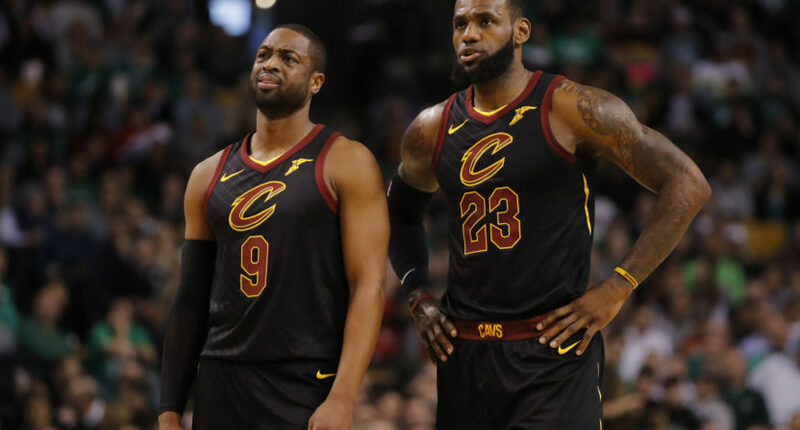 The Cavs have been getting high praise from most pundits about their chess moves and many feel that the course correction should put them back in the driver’s seat for the right to lose the Golden State Warriors in the NBA Championship again. However, it doesn’t quite matter what the rest of us think. It only really matters what Cleveland’s “real” general manager thinks. That would be LeBron James, the centerpiece of the entire franchise and the guy holding all the cards. Whether or not he came out of Thursday happy would determine a lot for the team moving forward, especially given the rumors swirling about his impending free agency. Turns out, per ESPN, James is very pleased with what they’ve done with the place. You know the old saying: “Happy LeBron, Happy Life.” The Cavs saved themselves a lot of season-long grief by undoing some of the mistakes they made in the offseason and moving the franchise forward with pieces that fit around their superstar rather than names that made more sense five years ago. As for how James feels about losing teammates, including longtime runnin’ buddy Wade, he’s taking it in stride. “Me and D-Wade? It ain’t tough,” James laughed. “I see him all the time. I’m happy as hell for D-Wade. He gets to go back home. That’s how it should be. I’ve always felt that’s where his heart and his mind was. I think it’s going to be great for him. “It wasn’t tough. We’re both 15 years in the league. We know how the business is. But more important, we know we see each other all the time anyway, so, ‘get out of here, D-Wade,'” he joked. As for Thomas, who had palpable friction with teammates during his short time in Cleveland, James hopes the fresh start in Los Angeles is exactly what he needs. Spoken like a true GM and businessman. Because let’s face it, along with being their team leader on the court, that’s ultimately what LeBron is so long as he’s in Cleveland.